When you get into a car accident, the last thing you may think to do is to take photographs of the collision to ensure that you receive adequate monetary compensation for the injuries or property damage you sustained in the crash. However, perhaps the best thing you can do after an accident is to sufficiently document the accident by taking photographs of the collision and any resulting injuries. Below, we have provided you with a list of some of the most important items to photograph after getting into a car accident. Taking photographs of the entire scene is critical because it can help reconstruction specialists recreate the accident to determine who is liable for the collision. Accordingly, you should take photographs of the entire scene at different angles and include photographs of the resting place and positioning of the vehicles involved, markings on the road and/or objects next to the road that were affected (i.e., railings, lane dividers, bridge walls, and any tire marks), any location-identifying markings such as mile markers or exit signs, and any traffic lights or traffic signs. Photographing the damage to all vehicles involved can be useful in proving fault and the extent of property damage you suffered. Specifically, taking photographs of all vehicular damage can help determine the severity of the impact, who or what caused the accident based on the positioning of the damage, and helps car insurance carriers to verify the extent of the property damage you suffered. This enables the insurance carrier to process your claim more quickly. Car accidents not only cause property damage to your vehicle, but they can cause items inside your car at the time of the accident to be damaged. To successfully recover compensation for damage to personal property that was inside of your car at the time of the crash, it is encouraged that you take photographs of the damaged items, as well as photographs of where the damaged item was found in the vehicle after said crash. Photographing your vehicle’s odometer before your vehicle is towed away from the scene of the accident can help determine the value of your car. If your car is totaled in the accident, photographing your odometer can help car insurance adjusters determine the amount of money you should receive for the destruction of your vehicle. Finally, if you or a passenger in your car sustains bodily injuries during a car accident, it is important for you to photograph said injuries immediately, or, as soon as possible after the accident occurs. Taking photographs of your own bodily injuries can help prove that you sustained them, but also the extent of your injuries if you file a personal injury claim against the other driver or other driver’s insurance carrier and the case goes to trial. 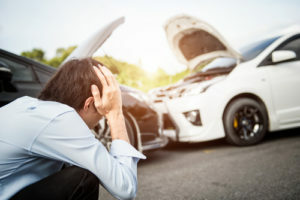 Furthermore, taking photographs of your passengers’ bodily injuries may help you to mitigate any future personal injury claims they may bring against you in connection with the accident. Did you or a loved one sustain serious injuries due to a motor vehicle accident in New Jersey? Don’t let the medical bills pile up while you wait for the negligent party, or their insurance company, to do the right thing. Right now, you need an aggressive personal injury attorney on your side fighting to get you the compensation you need, want, and deserve. The skilled attorneys at Blume Forte, Fried, Zerres & Molinari represent clients injured because of motor vehicle accidents in Parsippany, Hoboken, Jersey City, and Manalapan, and throughout New Jersey. Call (973) 635-5400 or email us to schedule a free consultation about your case. We have an office conveniently located at 1 Main St, Chatham, NJ 07928, as well as our secondary offices in Jersey City, Sea Girt, and North Bergen, NJ.